Let's take an uptrend. 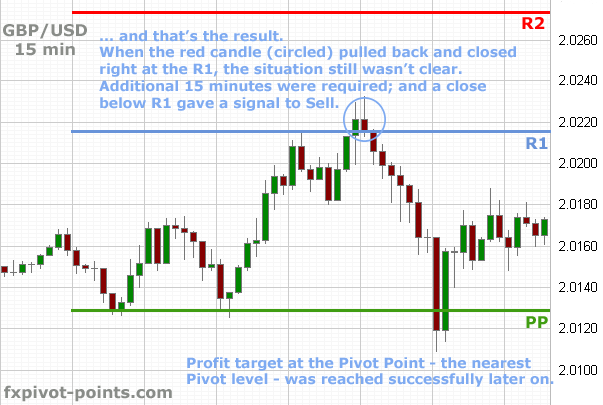 When the price starts to move up from the Pivot Point it aims at R1 level first. There the price usually meets a strong resistance which it needs to overcome before it can move any further. 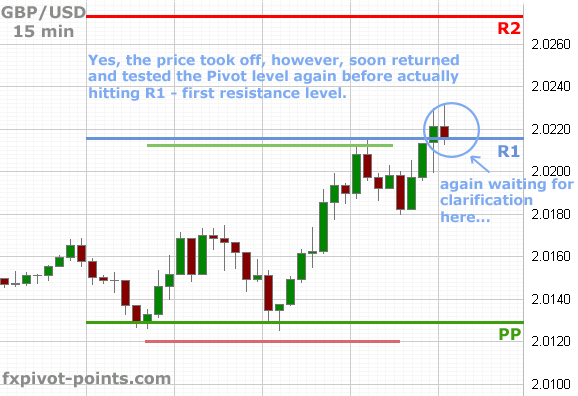 While holding a position, it is a common rule: if the price didn't "see" the first support / resistance, e.g. goes quickly through it without noticing / stopping, do not exit the trade, set your profit target at R2 because the market shows strength and is capable to push the price further to the next level. Typically, R2 becomes the highest point of the trading day. That's basically the way how traders use Pivot points in Forex trading.